Lancaster County Pennsylvania is home to the Lancaster Amish and every year thousands upon thousands of tourists flock to our area for their vacations and weekend getaways and one thing that the tourists like to do while visiting Lancaster, Pennsylvania is to take an Amish buggy ride. You will find several great companies that offer Amish Buggy Rides and here is our "short" list of a few of them. Abe's Buggy Rides ~ Abe's is located in the historic city of Bird-in-Hand, Pennsylvania. Abe's has been in business since 1968 and your private ride through the countryside in an authentic Amish buggy awaits you at Abe's! You can print out a money saving coupon directly from their web site to save you a few dollars on your ride fare. Aaron and Jessica's Buggy Rides ~ This is another fabulous company located in Bird-in-Hand, Pennsylvania. You can be driven around in an authentic Amish buggy or an open wagon, your choice! 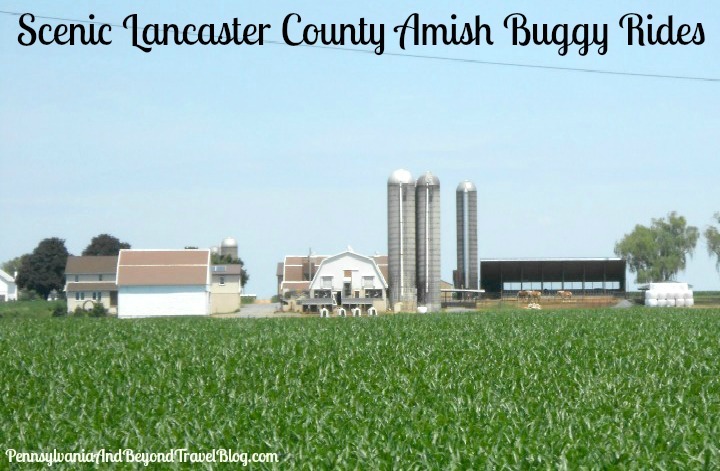 Their amish buggy rides are 4 miles in length through the amish countryside. You can print out a money saving coupon directly from their site to save you a few dollars on your ride fare. 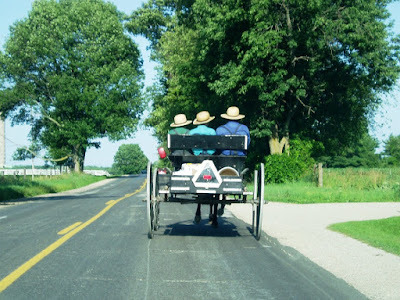 Amish Barn Buggy Rides ~ This company is located in Bird-in-Hand, Pennsylvania. This company will take you for a scenic ride on the back country roads and they have a petting zoo right on the farm for the kids to enjoy. They don't have a web site but you can call them to get their hours of operation and directions to the farm at (717) 556-2051. A is for Amish Buggy Rides ~ This company is also located in Bird-in-Hand, Pennsylvania. They are located near the Strasburg Railroad and local area attractions. You can print out a money saving coupon directly from their web site to help save you a few dollars on your ride fare which starts at $10.00 for adults. We hope you have fun in Lancaster County PA and if you have the time, we highly suggest that you take a buggy ride through the countryside while you are here!